This article was first published in the September edition of the ENDS Report. A good 93% of Britons think the climate is changing. Such was the finding of a recent pollby the blog Carbon Brief. This is as close as polling can ever get to ‘everyone’. Nor is it surprising in a nation of gardeners and amateur naturalists that the changes already occurring should have been noticed. The growing season has lengthened. Mediterranean species of fish are appearing in our waters. Britain’s winemakers are planting a greater variety of grapes and producing award-winning wines. However, we do not all agree about what causes climate change: 37% think the changes result from natural processes, though this falls to 30% among younger people. Even so, 68% of those surveyed believe that climate change is a serious problem and we must act now to deal with it. The results of the Carbon Brief polling are similar to those found elsewhere in the world and show public concern about climate change has returned to pre-Copenhagen levels. No one could argue that the same is true of political concern. It is worth noting two findings in the detail of the poll. On a range of possible negative impacts of a changing climate, such as rising sea levels or stronger storms, well over half the population thought these were likely to happen. Far fewer, about a third, thought there would be any beneficial impacts. There is clearly nothing wrong with the public’s understanding of what climate change means. Furthermore, these views are held despite a third of those polled knowing that scientists had been accused of faking their data. Deniers of the world, lament! Whether this level of public awareness and concern can re-engage political attention remains to be seen. Apart from the recent speech by US president Barack Obama, world leaders have had little to say on the subject this year. Even in Australia, with an imminent election pitting a climate-denying right-wing leader in John Abbot against an enthusiast for climate action in Kevin Rudd, there has been little argument about the climate. The publication of the Intergovernmental Panel on Climate Change (IPPC) Fifth Assessment Report may change this. It will be a long process. The panel’s report is published in three parts. The first, out now, deals with the state of the climate. The second, which is due in March, will assess the impacts of this climate on human welfare. The third part, due in April, will look at the options for slowing climate change. Whatever else it accomplishes, there is no doubt that this series of events will generate a blizzard of commentary in the media and the blogosphere. Peering through the subsequent confusion will be the leaders of the fossil fuel industries. After Copenhagen they came to the conclusion that the world’s governments lacked the political will to deal with climate change. The chief executives were right and invested accordingly. As things stand $6trn will be invested in oil, gas and coal over the next decade. They will be anxious to know whether this happy state of affairs (for them) will continue or if the IPCC report will reignite serious political attention to climate change. If governments do grasp the climate nettle and take decisive action, then the world will make a rapid transition to a low-carbon economy, in which case the value of their $6trn will be at risk. However, if governments fail to do so, the world will become progressively warmer – well within the lifetime of their investment.This will also put their investment at risk, but now from climate-induced political instability. This paradox places the fossil fuel companies in a quandary. If they invest and governments decide to act decisively, then they risk becoming the proud owners of a lot of stranded assets. If they do not invest and governments fail to act decisively, their shareholders will be very cross about the lost revenues. Compounding this quandary is the rapidly falling cost of wind and solar power. This is especially acute for the international oil companies. Increasingly shut out of access to new oil reserves by the nationally owned companies, they have shifted their resource base dramatically into gas. Shell’s famous Pecten logo now brands more gas than oil. The cost of solar and wind-generated electricity has continued to fall far faster than most analysts have predicted. As the utilities in Germany have discovered, they compete directly with gas. Costs have already fallen to levels that the EU’s 2011 projections held would not be reached until 2050. 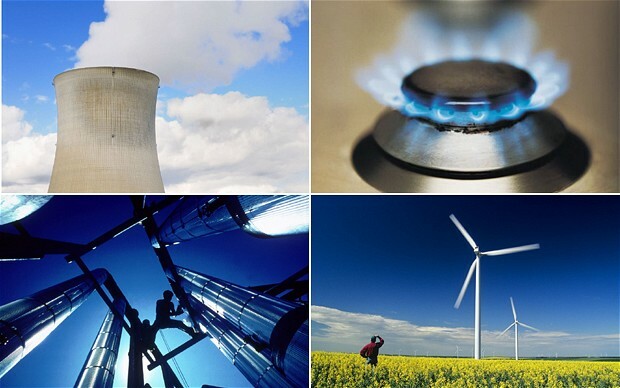 The International Energy Agency recently suggested that renewables could be delivering more power than gas by 2016. This will not make it any easier for the corporate decision-makers in the fossil fuel industries to resolve the quandary presented by the collision between their carbon and the climate. But it may explain the recent outbursts against renewables from prominent oil industry leaders as they see their growth opportunity recede. Furthermore, the dominant voice in the climate debate so far has been that of the fossil fuel industries and their customers. They are the climate makers. They have focused political attention on the cost to their firms of tackling climate change. The result has been an asymmetric debate that has ignored the cost of policy failure. These have been thought of as far off in the future and less pressing than the cost of decarbonising the economy. This comfortable perception is changing. We are starting to hear the climate takers, the very many businesses that are just beginning to realise that climate change will damage their interests. A hundred ski resort owners in the US wrote to President Obama in advance of his recent speech on climate change urging him to act. Firms across all sectors of the economy from agriculture to tourism are only starting to focus on what climate change means to them. The IPCC’s forthcoming report will add fuel to this growing fire.